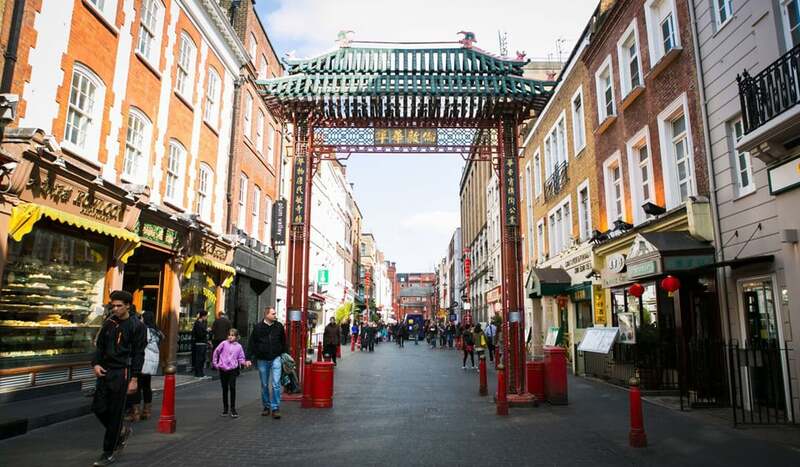 Explore the authentic restaurants and shops of London’s Chinatown neighborhood, and join in special events to get a flavour of Chinese culture in London with these Top Sights Tours tips on some o the best attractions and restaurants. Chinatown has been a part of London since the 20th Century, but it hasn’t always been in the same part of the city. The current area dates back to the 1970s and it now houses dozens of Chinese or Asian-inspired restaurants, cafes and shops. Often recognized solely for its food offerings, in reality, there is so much more to do in compact Chinatown. If you plan your itinerary right, you could easily find a whole day’s worth of activity within these streets. Today, Chinatown attracts up to more than 17.4 million visitors each year, and is especially busy during the Chinese New Year, which takes place sometime between mid-January and February every year (depending on the Chinese lunar calendar). Chinatown boasts buildings and streets decorated with Chinese symbols such as dragons and lanterns. Keep an eye out for street signs, which are written in English and Chinese. Find stone lions, contemporary art sculptures and Chinese gates as you explore the area, and don’t miss Chinatown’s new fourth gate on Wardour Street: completed in 2016 and built in traditional Qing dynasty style, it is the largest Chinese gate in the country. All these impressive decorations make perfect photo opportunities and give an insight into Chinese culture and religion, particularly during seasonal celebrations. When visiting China Town, One can’t forget the amazing food that made it famous! Big menus are commonplace in Chinatown, but such a vast repertoire seems impossible from a galley the size of an origami boat. Cafe TPT located at21 Wardour St manages to deliver its pan-Chinese bonanza with commendable aplomb. Best bets are Cantonese staples such as succulent roast duck on rice, although we crave the Hong Kong-style ‘Tai pai tong hawker dishes’ too. If thats not your cup of tea try Joy King Lau. Often renowned as one of the more relaxed restaurants in Chinatown, and one you should head to if you have a meal with your parents or relatives in the diary. Speaking of older folk, they also have a lift installed in case you don’t feel like trekking up the stairs, and it’s a multi-storey place, so there’s a good chance you might need it. The food’s solid, and we like their dim sum and their crab – it’s messy, but worth it. No matter what you fancy, China town has the food and sites to satisfy everyone in your group and is am must see when visiting London.